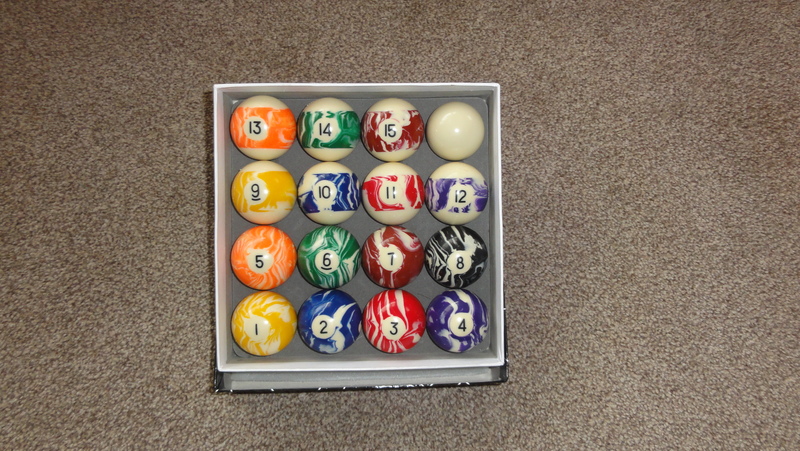 Here we have our Marbleized spots and stripes Pool Table Balls including the Black ball and the cueing ball. They are 2 inch in size and will fit standard pub sized Pool Tables. They are also suitable for all our English Pool Tables.